If ever there was a game you felt we should win than surely it must be this one? but then the games that look easy on paper so often turn out to be much harder than expected. Still you would think this game is one we should win and we do have a few winnable games coming up at Plainmoor this month and who knows we could look so much safer from the drop then we do now by the end of this month. I would not expect Carlilse to be fit for this game but it would be a great bonus if he was and we do need to play a very attacking game and have Zebs upfront as they are not the best defensively. Would be the perfect game for Jake Thomson to play in and maybe Danny Stevens as well, but I'm sure Bucks will once again surprise us with his team selection. Quite agree Dave and I am expecting and will be pleased with a draw .... followed by two home wins against Crewe and Lincoln which despite the position of Darlington I regard as more winnable. Darlington haven't thrown the towel in yet and will of course be looking at our position and our away record with only one league win on our travels and thinking that they have got a real chance of winning one. Things are looking better now with a nine point gap from the relegation places but we have just got to keep at it and keep grinding out the points .... and if it is one point at a time and it keeps us ahead of the bottom two until they run out of games to catch us then we will have achieved what was probably the objective of the club at the start of this season and start looking forward to a better league position next year. If only we could score first up there, that would probably shatter Darlington's confindence. 6 points form the next 3 games is a must and will see us in a fairly better position. We've had some huge off-days in recent seasons while playing up north, let's hope Buckle keeps them focused and not take things lightly. Who'll be playing? The manager will have a scouting report of Darlo and will base his own selection on this. As long as it's not to negative it's fine with me. Isn't it colin lees turn to pick the team?? or have i got confused?? Well if we can't beat these no-hopers we're in big trouble. But then we couldn't beat Grimsby at home so i guess anything can happen. 3 points, nothing else will do. To the low aspiring draw acceptors.......No, darlo arn't the ones we have to worry about so a draw is not enough. A couple of goals from our deficit wouldn't go amiss either. So 0-2 to the good guys, job done and bring on the next game! 4 points from our next 2 home games and i think we can start to see light at the end of the tunnel. Worse case result - draw with Grimsby & Cheltenham losing. Best case result - we win and ALL others around us lose. If Rendell is fit for tomorrow do you recon Barnes will start? I doubt Rendell will figure from the off may be bench warmer tomorrow along with Wayno. All the recent good work could quite easily be reversed if Grimsby manage that elusive win and we get beaten at Darlo. 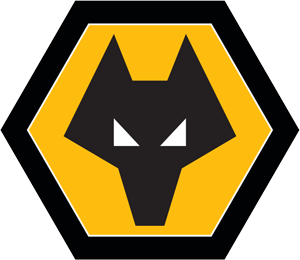 After all they are capable of putting the odd good performaance together as they have shown against Rotherham twice though I think that the increased confidence levels and settled back line that has performed well will enable us to get a result of some sort. It wont be any push over as I can imagine this is judgement day for the oposition - last chance saloon as it were and they are sure to throw everything at us. There are 12 games left and although "we'll take each game as it comes" (!) I think that if we repeat the results of the last 12 games then we will more than likely be relegated. If we repeat 3 lots of the last 4 games then we'll very probably be alright! In reality, looking at the fixtures then I think we'll be somewhere between the two - with some very tough games coming-up. It's vital that the momentum keeps going and I am hoping for nothing less than a win tomorrow - I can't see Darlo catching us so it isn't a relegation 6 pointer that the Grimsby, Lincoln or Macc games may turn-out to be, but it is still vital that we get the points against a team that has been regularly beaten by even the strugglers (Rotherham excepted!). The thing with Rendell is that although he has been out injured, he has been able to train to some extent since more or less a couple of days later, he's "just" been prevented from contact training until recently. It's not like he has been prevented from moving - although he will certainly have lost match sharpness. I'm sure that if his scan went OK yesterday then he will feature in some way tomorrow. I'd probably start with Barnes (as ineffective as he has been so far) and see how it goes before putting Rendell back in the team (if he is able to feature at all). I think that Carlisle will be less likely to feature - I think his knee is causing some problems - I would expect that he will be used sparingly when he is available. Darlo will be no pushovers, but I think that our more solid (if unspectacular) performances from the back will match them. I would probably go with the same team and formation that started the D&R match - solid covering of the full backs and more retention of the ball will be important up there. A draw would be no good at all for Darlo so I think that they will go forward at every opportunity, if we can keep the scores level early then I think that the chances will come and they will leave gaps at the back. I think that Thompson has been very poor, but he does work hard and I think he would possibly be the best person to partner Mansell in the centre. If we get to the end of the season and have a big gap open with the bottom two then it would be O'Kane in the centre for me - there's something of the Ricard Kell about him. Even if Smith has recovered enough to be involved then I would stick with the team that has shown a bit of resilience over the last 4 matches. With respect to Muzzy and Stevens, I wouldn't expect to see them or Thomson starting tomorrow - it's going to be a different proposition from the thrashing we gave them only 3 months ago. We could put some real daylight between us and some of the other strugglers with a decent result tomorrow and lift a lot confidence and morale. It would also leave us with less to do over the remainder of the season and would allow the planning for next season to begin without having the cloud of relegation hanging over us or having to scrabble round the loan market to try and find players that will improve the squad at this late stage of the season - something that we have really struggled with since for some time other than the arrival of Zebs and Branston. Really good preview o2b and the only thing I would disagree with is not starting Smith. If you want to look at form then Grimsby have picked up 9 points from the last 13. 35 days since Rendell was injured and will probably be ready to start next week but not sure about today. A tough match but about time that we won away again. Also one of only two remaining chances to complete the double against a team in this division. I think this will be a win for TUFC I say 2-1 to the Gullls. If Scotty Rendell does play and scores watch out for his goal celebration, I had a word with him about doing the one on the advert walking on his knees cause he looks like the bloke in the ad, he seemed to think it funny so you never know!